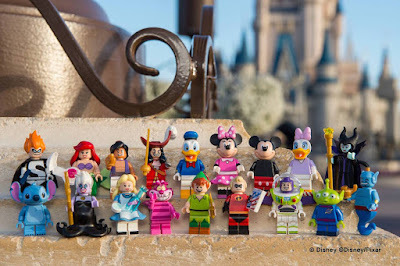 In case you didn't know, Lego's latest collectable minifigure series is out now! Behold the new Disney characters! In this series, there are characters from various Disney animated movies over the years. Classics like Mickey, Minnie, Donald and Daisy are there, as well newer characters like Buzz Lightyear, Stitch, Mr Incredible and Syndrome. Click for an in-depth review of this latest series on the Brothers Brick blog. Be sure to pick up your favourites or the whole set at your nearest store!